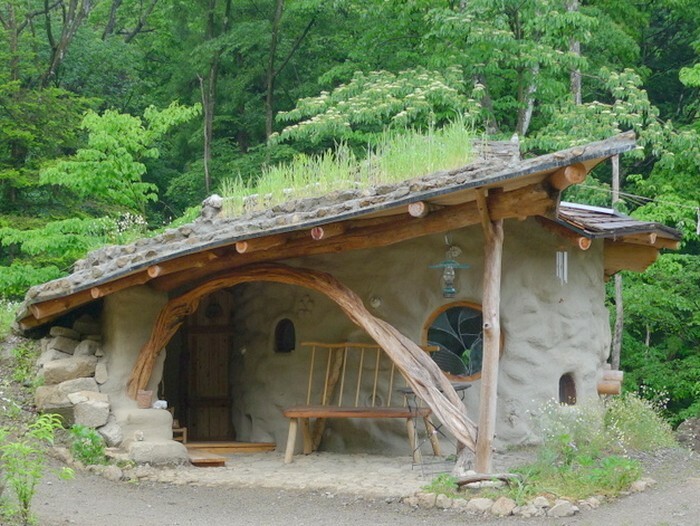 Here’s another inspiring earthbag construction for fans of natural homes out there! This earthbag house is not actually a ‘house’, but a garden playroom. It was built by permaculturist and carpenter Michi-kun with the help of 20 volunteers in the Peace Permaculture Garden in Nagano, Japan. It’s called a spiral house because its walls were built in a spiral pattern. Its roof also has a spiral garden where visitors can harvest seeds to bring home and plant in their own yard. This ‘house’ is equipped with a rocket mass heater and furnished with wooden furniture pieces for a truly cosy use of the playroom.